Fisk University got an early Christmas present with the arrival of four beautiful Steinway upright pianos yesterday (11/28) that will be placed in their practice rooms and classroom at the college. Generous supporters made the gifts possible in the Harris Music Building on campus, just in time for the holiday season. 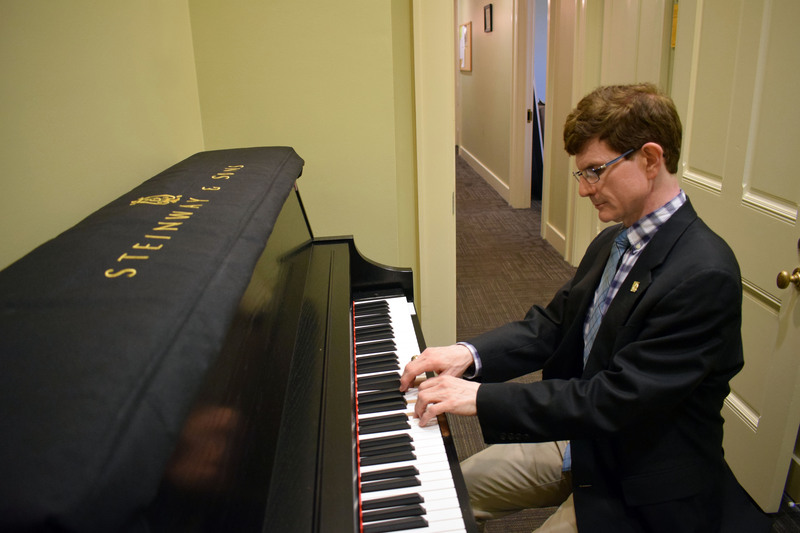 The All-Steinway School initiative is a two-million dollar effort to replace older teaching instruments and concert grands with state-of the-art, Steinway grand pianos of the appropriate size. The initiative will include an endowment to pay for future maintenance and growth while providing music scholarships for deserving students. Several Tennessee universities have transitioned into All-Steinway Schools, including Belmont University and Lipscomb University.